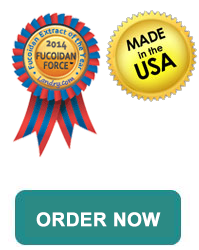 Buy Fucoidan Extract Supplement For Maximum Fucoidan Health Benefits. Why Fucoidan Force? 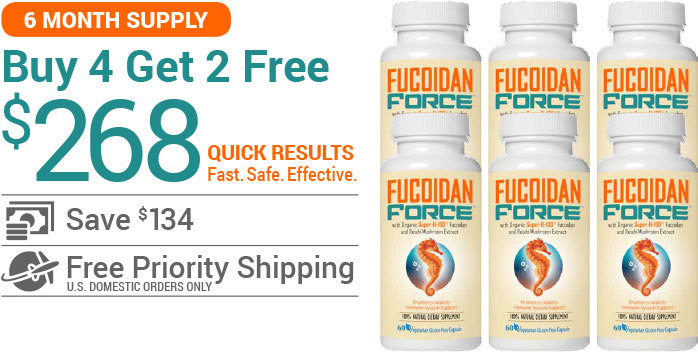 Aside from being made with the most well-researched fucoidan, Fucoidan Force™ is needed due to the fact that so many environmental and lifestyle factors are constantly bombarding every cell of your body. We truly believe that EVERYONE should be supporting their cellular health, ongoing, every single day with the premium ingredients exclusively found in Fucoidan Force™. Fucoidan Force™ never uses cheap Chinese or questionable overpriced Japanese fucoidan – only 100% pure Atlantic-sourced USDA Certified Organic fucoidan. Uses the same seaweed species documented in many of the more than 1400 fucoidan-related studies in the U.S. National Library of Medicine website recording fucoidan’s unique potentials and nutritional benefits. Made from hand-harvested Atlantic wakame (Undaria pinnatifida) seaweed to help eliminate any concerns about radiation contamination fallout from the Japanese Fukushima earthquake-tsunami disaster. 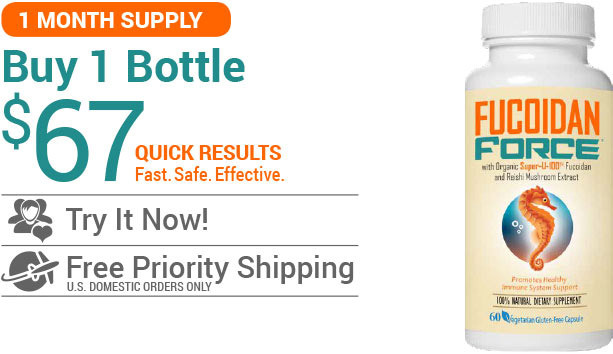 Formulated with the phenomenally renown reishi mushroom extract which further reinforces fucoidan’s beneficial qualities. Offers an exceptionally higher-quality product at a moderate price with helpful knowledgeable customer service and support. Made from pure standardized Undaria pinnatifida extract gently extracted to protect the fragile fucoidan molecule for maximum potency and nutritional health benefits. 1. The main ingredient is the wakame-derived fucoidan which contains a complex strain of fucoidan that has natural qualities not found in any other form of fucoidan. 2. 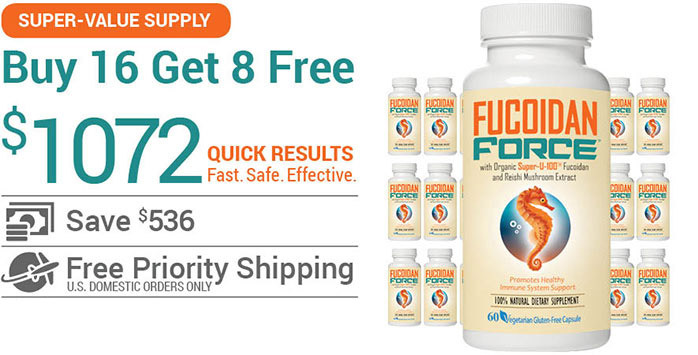 This unique product is also the only fucoidan supplement that uses the phenomenal reishi mushroom extract as a reinforcement-ingredient. Reishi mushroom which is a nutritional powerhouse in its own right has been used for thousands of years for its renown health and wellness properties. 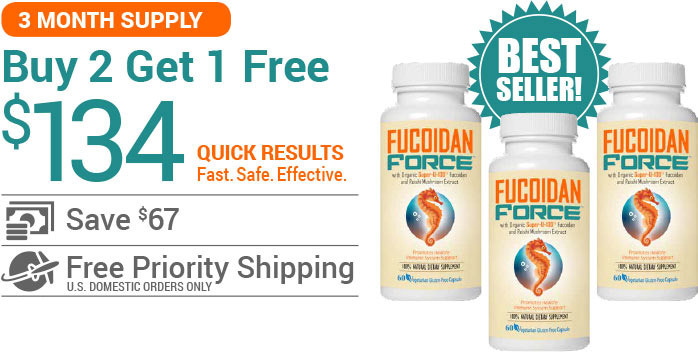 If you are looking for a safe, effective and well-researched fucoidan supplement, you’ve found it in Fucoidan Force™! International Orders Above $500 Are Subject to Additional Shipping Charges. Orders are 100% confidential so your personal information is never disclosed to third parties for any reason, other than credit card verification. For added privacy, your credit card statement will never reveal the name of the product. Orders are shipped in plain, unmarked packaging with no identification of the contents. We ship USPS Priority Mail delivery on orders over $50.00 (domestic only) absolutely FREE. Fast and easy!!! We also ship internationally. Click here to view shipping & handling rates for domestic orders over $50 and international orders. NOTE: International Orders Above $500 Are Subject to Additional Shipping Charges. Our industry-leading, 60-day money-back guarantee ensures that you can try Fucoidan Force™ risk free. 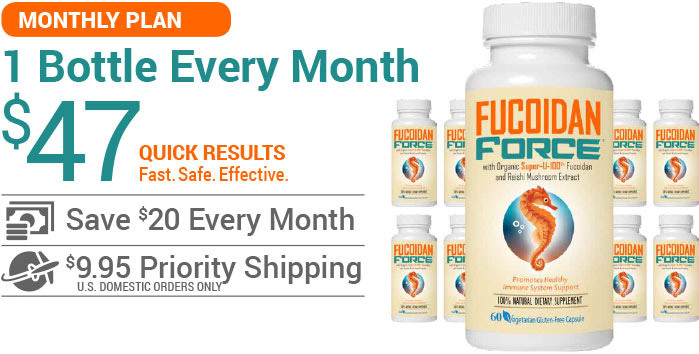 If you are not amazed by the results while taking Fucoidan Force™, just let us know and we’ll send a prompt refund. No questions asked. It’s that simple! Click here to review our refund policy. Fucoidan Force™ uses 100% all-natural, non-GMO, pesticide-free, chemical-free, standardized micronized Fucoidan. Free of artificial colors, flavors, sweeteners, preservatives and other objectionable additives often found in vitamin products. Contains no sugar, lactose/dairy, wheat, gluten or yeast. Most manufacturers rely on seaweed from Pacific Ocean seaweed beds that are expected to remain contaminated for the next 30 years following the 2011 Fukushima nuclear disaster. However, Fucoidan Force™ is hand-harvested from clean, worry-free, pristine Atlantic waters. Fucoidan Force™ is made in the USA in our home state of Florida using only certified organic fucoidan extracted from hand-harvested, radiation-free, sustainable, Atlantic-grown wakame seaweed.